Wild Eye Releasing recently send the horror chamber information for their upcoming release of "Dead Woman's Hollow". The upcoming film took awards for Best Horror Feature and Best Make Up at the World Music and Independent Film Festival, and Charles Dawson was named Best Male Lead at the WC Horror Film Festival. Special features on the DVD include trailers. "Dead Woman's Hollow hits retail on June 23rd. Wild Eye Releasing has announced that Libby McDermott's debut feature, the chilling psychological horror film Dead Woman's Hollow is coming to DVD. Based on the shocking hate crime that ripped through the quiet of Appalachia in 1988, Dead Woman's Hollow will be available nationwide June 23rd. McDermott took home awards for Best Horror Feature and Best Make Up at the World Music and Independent Film Festival, and Charles Dawson was named Best Male Lead at the WC Horror Film Festival for his turn as small town law enforcement trying to hunt down a murderer in the woods he calls home. Two attractive young coeds set off for a camping trip in the Pennsylvania woods to get away from it all. After a rifle-toting mountain man discovers they are a couple, the women become his prey: hunted, shot and left for dead. The local sheriff begins to connect their frightened testimony with unsolved disappearances and murders on the trail. Can he act in time to stop more killings? 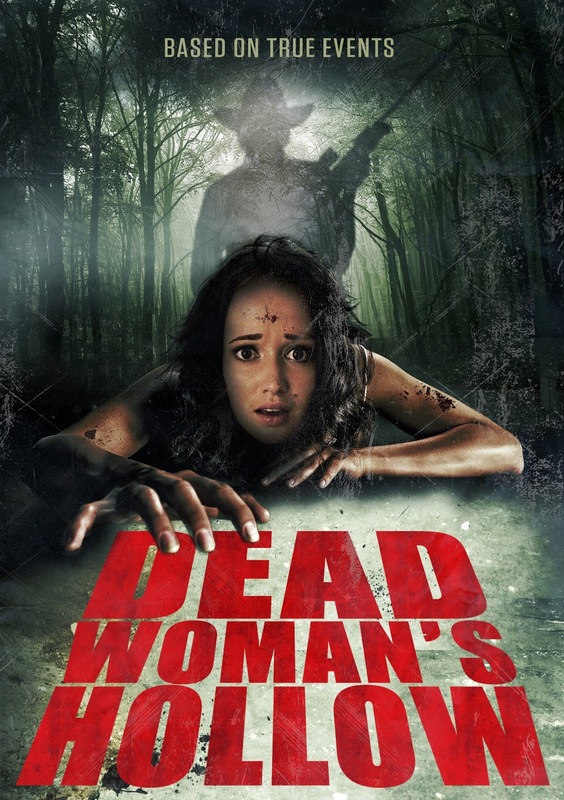 The DVD release of Dead Woman's Hollow (SRP $14.95) will exclusively include trailers and previews.